With the announcement of the GA status of the Language Understanding Intelligent Service a couple of weeks ago, I was thinking about how to easily enable people in using this awesome Cognitive Service. I was asked many times on how to easily use that service but I faced a lot of open questions and confusion. 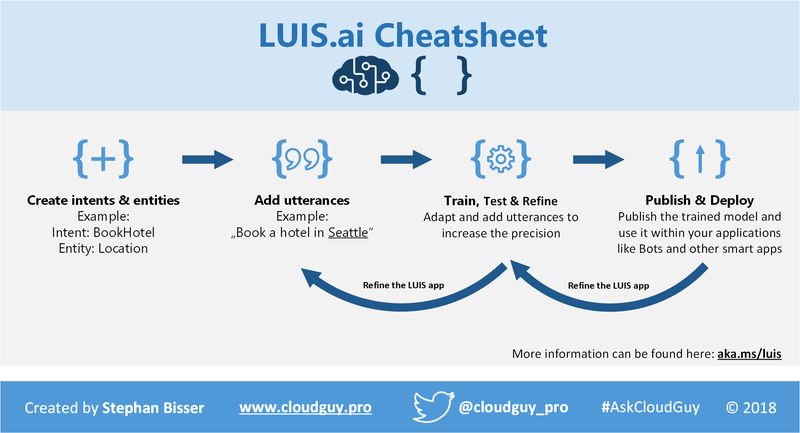 That’s why I decided to create a cheat sheet to illustrate the process of creating, training and publishing a LUIS model in order to use it within a Bot or other apps which should act intelligent and understand the human language.